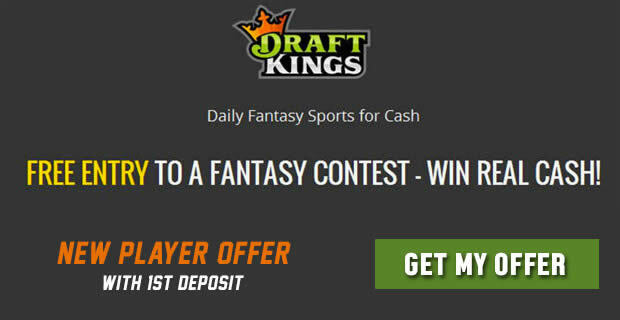 One of the biggest FREE fantasy football contests for NFL Week 8 fantasy leagues is being offered right now by DraftKings.com! There is no cost to join whatsoever - it is completely FREE! Cick Here to check it out and submit your FREE entry! Check the chart below for a list of NFL fantasy football leagues with the best payouts that are offering free contests regularly for the 2017 NFL season. 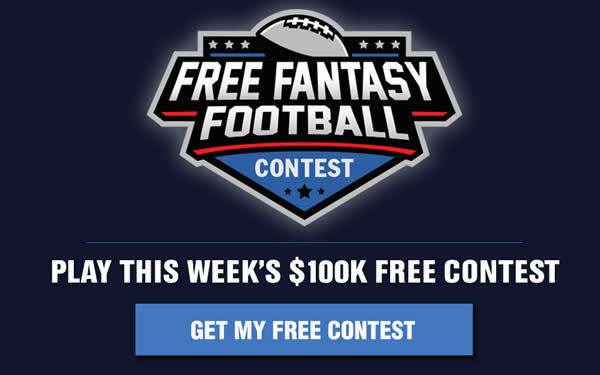 Each site runs weekly leagues including free fantasy football contests for real money prizes. Some include free entries just for joining and making a 1st deposit as well as freerolls for new players without having to make a deposit. Other NFL fantasy leagues give new players a huge bonus for joining and depositing that can be used to join paid entry contests for huge cash pools.